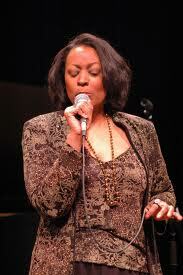 Twin Cities vocalist Lila Ammons has a rich musical heritage. Her grandfather was Albert Ammons, the famous boogie woogie piano player, and her uncle was Gene Ammons, whose big, soulful sound on the sax was a mainstay of 50s jazz. Lila studied classical music and performed in operas, recitals and oratorios throughout the United Staes and Europe before turning to jazz and blues. Though she’s lived in the Twin Cities for about fourteen years, she spends much time touring Europe. She and vocalists Vicky Mountain and Dorothy Doring have performed together as Sisters in Song. Recently, Ammons has begun to sing around town with a quintet, and is now getting ready to release a CD. 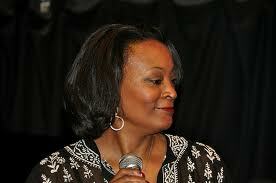 This lightly edited interview took place during my radio show, Rhythm and Grooves, on April 7, 2012. LE: You grew up in Chicago and actually started out in classical music. Lila Ammons: It was very much a big part of my family. My dad was really into oratorio singing and opera and when I was a child. He used to listen to Ezio Pinza and all these Italian tenors. I used to plug my ears and think how could he stand this, you couldn’t even understand the words. Actually, it was all early training. I think they were trying to steer us into a different direction, because they recognized our musical abilities. The last thing they wanted was for us to follow our uncle and grandfather’s footsteps into the sinful world of jazz and blues. LE: How long did you take classical training? LA: Let me see, I got my undergraduate degree at the University of Michigan, Masters at Manhattan School of Music, and then I spent 12 years pursuing big track opera. LE: How does the classical training help you in singing jazz and blues? LA: I would say from a technical standpoint, it’s given me longevity, because I know how to take care of my instrument, and that’s very key. LE: How did you make the decision to go from classical music into other genres? Of course, my parents were very, very happy about that, but I still wanted to go to California and still wanted to be a studio musician, but they were like, no, no, no, got to New York, we know more people there. So I ended up at a conservatory and got caught up in it, but in the back of my mind I was very curious about this heritage that I had recently discovered. I had started in the background doing some research about my grandfather, and really discovered who he was and then located people like Barney Josephson (Ed note: Owner of Café Society in NYC) and John Hammond – just on a fluke, because I had found a book in an old used bookstore on West Broadway in NY, and I recognized the name from an album my dad had of my grandfather’s. And from there I started making phone calls and in the back of my mind I was thinking, by age something, this, this, this. If this doesn’t go there, that’s okay because I want to look back into my heritage. And so in a way I had a master plan. I fulfilled the classical thing for my parents. My mother passed away and I felt I could do my own thing at that point. LE:Tell us about your heritage, in case folks don’t recognize the name Ammons. Lila's Grandfather, the boogie woogie master. LA: My grandfather, my dad’s father, was Albert Ammons, who was a pianist, born in 1907. At the early age of 17 he began to became a noted boogie woogie player. 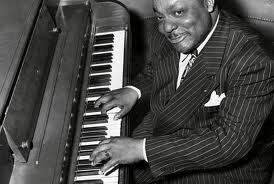 He, along with a couple of others, Pete Johnson and Meade Lux Lewis became the Boogie Woogie Trio. They were picked up by John Hammond, the famous impresario. He discovered Billie Holiday and all kinds of people. He brought them to New York City and presented them at Carnegie Hall at the Spirituals to Swing Concert in 1938. The concert had all kinds of luminaries, including these three, and they became wildly successful, and went on to perform at Café Society. That was another very interesting place in musical, and political, and social history. That place was a hotbed of a lot of things. (Ed note: It was the first integrated nightclub in the United States.) My grandfather also had his own group, the Rhythm Kings, and then he went on to do lots of great things. LE: He was very well known. 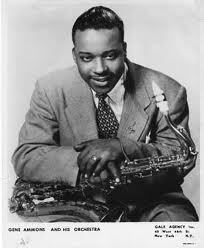 And then one of his sons was Gene Ammons, one of my favorites. A big toned saxophone player. LA: One of a kind, one of a kind. In fact, from Chicago, at 17 he was one of the lead tenors for Billy Eckstine, along with Charlie Parker, Dizzy Gillespie. That band was a hotbed of early bebop. It was the early incubator for bebop. LE: How did you come to be touring Europe so much? LA: I’m now involved in an international tour with a German pianist who is a specialist in boogie woogie and classic blues. Through a whole bunch of circumstances in 2007, the two of us came together. I put together a concert in celebration of my grandfather in 07, and brought together a lot of incredible early heritage players including Butch Thompson, as a matter of fact. I had this concert in Chicago commemorating the 100th Anniversary of Albert’s birthday, and after hearing me sing a tune, Axel Zwingenberger, the German expert, invited me to join his tours in Europe, so I’ve been doing that for four years now. LE: The lead-off cut on your upcoming CD is an old Helen Humes hit, one of those songs that was blending the boundaries of jazz and blues at that time. LE: As you went about producing the CD, how did you choose who would be on it? LA: The producer is Michael Wimberly, he’s a fantastic percussionist, travels around the world, produces documentaries on different instruments. I went to school with him years ago, and we’d wanted to do a project together. He’s worked with a lot of people. I called him up one day and said, Hey I want to do this project, and told him what kind of stuff I wanted. We talked about this for a year and he hand picked people that he knew that he thought would be perfect. LA: Well, on tenor sax was Houston Person. I’m just so honored that he was there. He comes from that Gene Ammons/Ben Webster kind of school. LA: Yeah, so that worked out so perfectly. We have James Wideman on piano. 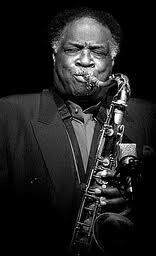 He’s worked with Joe Lovano, and Kevin Mahogany and lots of folks. A gentleman named Onaje Allen Gumbs, (also on piano) whose name is maybe not as familiar to people, but he’s played with Buster Williams, Betty Carter, Nat Adderley, Kenny Burrell, Woody Shaw – lots of folks. A Sweet sweet sound. Leon Dorsey has played bass with Dizzy, and Jon Hendricks and lots of folks. Steve Williams was Shirley Horns drummer for 25 years. Another nice sweet sound. Then we have Nioka Workman on cello, that’s Reggie Workman’s daughter. She’s doing all kinds of things with India.Arie and Kanye West. We have Marvin Sewell on guitar. He plays with Cassandra Wilson, David Sanborn, and he’s got his own thing going. And Michael Wimberly does percussion. LE: You said you had some ideas on the kind of music you wanted to record. What did that involve? LA: I thought about tunes that I really loved. I have such a broad number of influences, from Joni Mitchell, to Pete Seeger, the Isley Brothers. I was influenced by so many different sounds. So I chose some contemporary tunes – I was really into the Jazz Fusion era – I’ve got Chick Corea’s “Spain,” and a George Duke tune, “Love Reborn,” that Flora Purim did with him, but I’m doing it in a totally different way. Then I’ve got some swing, one of which is my uncle’s tune, “Close Your Eyes.” I did some ballads, “If You Could See Me Now,” and “The Nearness of You,” one of my signature tunes, and “Nature Boy.” And then I’ve got some Brazilian, which I love. It’s in final production, packaging, and all that right now. LE: It will be released sometime this summer? LA: Hopefully, hopefully. Fingers crossed. (laughs) Lot of factors are involved. LE: Who is in your working quintet when you play in the Twin Cities? LA: Dean Brewington is on sax. He knew my uncle. Dean was my very first friend here. I moved here 14 years ago from NYC. We actually ran into each other in a parking lot. We hit our cars – ran into each other (laughs) At Groth’s music store. (more laughter) So thank you Groth. Then I’ve got Tim Zorne on drums, and a young pianist, Ted Goddbout, a fine young pianist. We have Ben Kelly on bass, who will not be with us tonight, so we’ll have Jim Chenoweth – a lot of people know him. LE: You mentioned playing in Europe a lot. How do the audiences there react? LA: As I said, there I’m specializing in early classic blues – Bessie Smith, Georgia White, and Helen Humes… Europeans still have a love and appreciation for that music that goes beyond belief. They remember that and come up to me, often in tears and recount stories about the first time they heard Albert and during the war when they heard this and that, and where they were when they first heard it and how much they appreciate my being there. I’m so grateful that I’m there to receive this for him! Somehow it’s out there and transmitted to him what he’s done to touch so many people. This entry was posted on Sunday, April 22nd, 2012 at 5:30 am and is filed under Interviews. You can follow any responses to this entry through the RSS 2.0 feed. You can leave a response, or trackback from your own site.